As we drove last summer toward a hidden lake among the mountains of Northern Colorado there was the beauty of the forest surrounding us. Tall dark green pine trees on both sides of the road clinging to the sides of the mountains. It was a magnificent sight to see until we came into vast expanses of burned pine trees standing up from the ground like toothpicks. 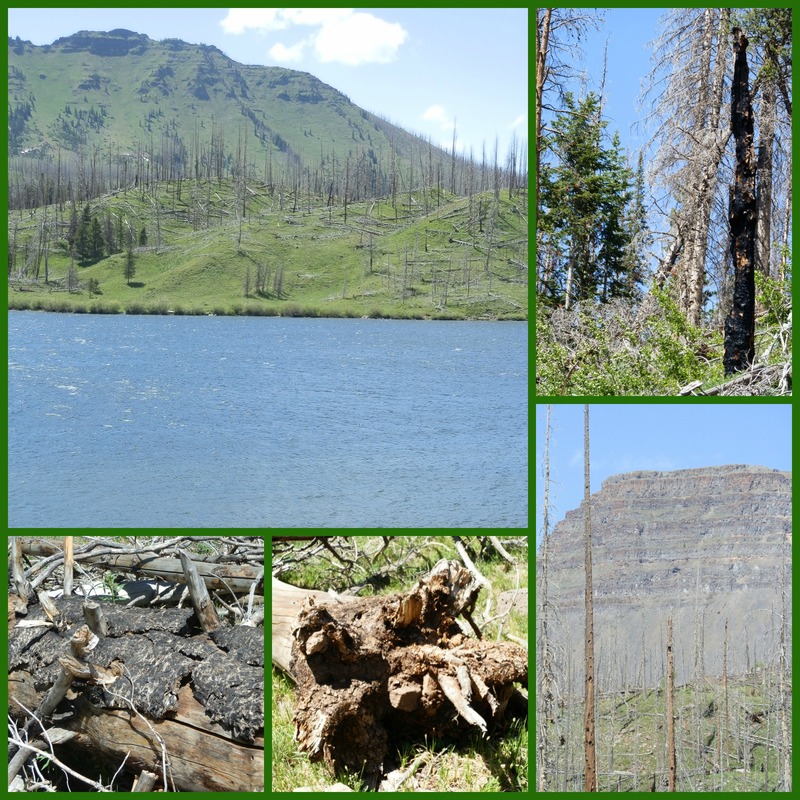 The evidence of forest fires from previous years went on for miles. The ground was also littered with fallen trees that had slid down the mountains and hills, making the beauty of the landscape dissipate to a very disturbing sight. A few minutes into our hike I noticed patches of trees that had been saved from the forest fires, but all around them stood the skeletons of the forest. The burned trees stood as monuments of a life that once was vibrant and full of its God-given purpose. New grass had begun to grow around the burned remains of trees, some vines and flowers had grown around them, but the remains looked unbecoming in the landscape of the hidden lake. I took pictures because in my heart I knew I would write about being burned in the ministry. As much as I hated to see the evidence of the trials of that particular forest, it was beautiful to see the lush grass and wildflowers blooming with insects finding their way around to pollinate the other flowers. Life was returning but the scars stood as evidence of the hurt. I realize as many of you read this that I am not a seasoned veteran of the ministry and probably burns and hurts will come to our lives that I do not even wish to think of or imagine. I had a deep ministry hurt occur as I served as a secretary in our church when I was single. It took me many years to forgive the particular person involved, and I had to deal with the roots of bitterness I had in my heart toward them over and over. It does still hurt to think about, but the thoughts do not control me anymore, because the Lord continued to teach me about forgiveness. 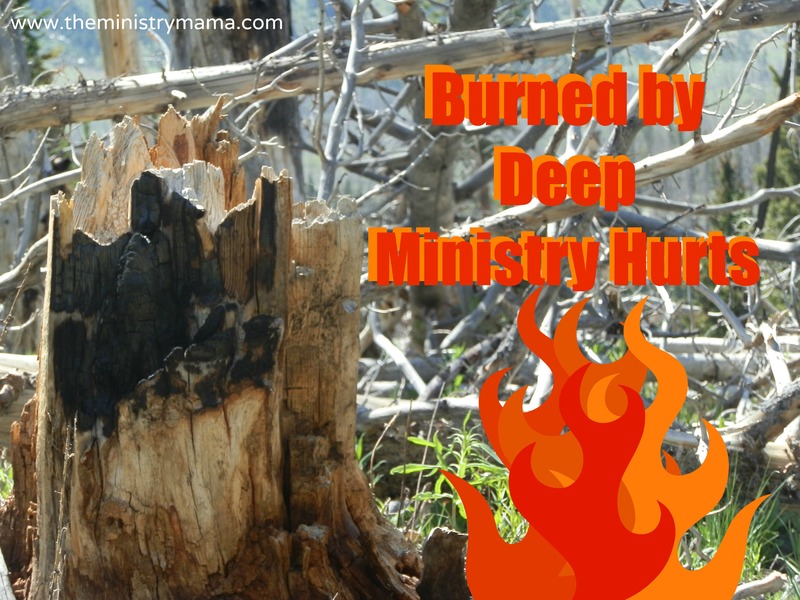 Ministry hurts shake you to the core and sometimes leave you lifeless like a burned pine tree. It messes with your mind, it creates doubt in your heart toward people, and it may even leave you with questions about whether God really cares. While I have recovered and new blooms have also come into my life and our current ministry, I still remember what it was like. I hope this article will give you some good helps on what you can do to help yourself or someone else that has been burned by the ministry. 1. Acknowledge the hurt and talk to God about it. Each life situation goes across God’s sacred desk before He approves it or allows it. He knows about the hurt you are thinking of now. The people and situations that have caused it and the disappointment and betrayal you may be feeling. Be honest when you speak to God about them, you don’t have to question Him or be angry with Him. In humble acknowledgement you can go to Him as a child goes to His father and tells him the problems, doubts, and fears he has. The gospel song says it all when it says, “When you don’t feel like praying pray.” You may not feel like it, you may not want to, but you should do it anyway. 2. When your thoughts go a mile a minute in every direction from the temptation to exact vengeance upon someone to utter despair, think of God. This verse in particular spoke to my heart during one of my hardest trials. While others may be against us and the reality of the hurt may set in, we must ALWAYS find comfort in the Lord. All other worldly comforts, gossip, backbiting, drinking alcohol, abusing pain medications, forsaking our immediate family members are not the cure. Our comfort must come from God alone. 3. Allow yourself time to heal from the burns. The grass in the forest did not begin to grow again in the forest until time had passed after the forest fire. Sometimes after significant ministry problems we expect (and other people expect) that we should bounce back to our original self and be ready to fight the good fight of faith with vigor and resilience. This is not realistic for someone who has been wounded deeply. Think of Elijah the prophet, this story is very different in many ways from the purpose of this post, but I think the love in which God ministered to him is an example of how He cares for us when are hurt by the ministry. I Kings 19: 5-8 And as he lay and slept under a juniper tree, behold, then an angel touched him, and said unto him, Arise and eat. And he looked, and, behold, there was a cake baken on the coals, and a cruse of water at his head. And he did eat and drink, and laid him down again. And the angel of the Lord came again the second time, and touched him, and said, Arise and eat; because the journey is too great for thee. And he arose, and did eat and drink, and went in the strength of that meat forty days and forty nights unto Horeb the mount of God. God ministered to Elijah through the angel. I believe God sends special gifts of blessings in our hurts to help us recuperate and gain our strength again. But it takes some time. We may not be able to take a break from ministry during these times but we should be resting on days where we can and allowing God to minister to our hearts. 4. Take care of your daily personal needs. One of the hardest things about deep hurts is that our body can manifest the pain in many ways from anxiety to depression to an unsettled sadness or burning in your chest. Your teeth may itch or you may suddenly burst into tears. Take care of your health, mind, and spirit during these times so that the physical manifestations of your stress will subside. Eat healthy foods regularly, take naps and get to bed on time, get up and bathe and put on clean clothes. When we are in the initial response from burns and hurts in our lives we sometimes go into shock and even the simplest tasks go undone. When you will get yourself up and ready for the day and carry on with normal activities, it will help you heal faster. I mentioned earlier that taking care of your thoughts and mind is comforting yourself with God’s blessings. The spiritual man inside of us when burned needs special attention. We still need to read our Bible, seek out God’s answers, and go to the Balm of Gilead to allow Him to heal our hearts. When He speaks we should respond correctly. The book of Psalms can be especially helpful to read during hard times. Putting off necessary steps of healing, such as making things right with the person that caused the pain, can be difficult. Disobeying God’s promptings will prolong the hurt. Every situation for every person is different, we must be obedient to what He tells us to do. It may be committing to pray for the people involved, doing something nice for them (even if they don’t deserve it), or making a decision to not load our spouse down with talking about the situation all the time. You will know when God speaks to your heart. I will never tell you that the burns of ministry are easy, that you should be this or do that by a specific time period. There should be a time of healing and recovery in your life, these times and situations may redefine your life but should not redefine your standing with the Lord. There is a future and a plan He has for us. After we are healed our job is to help others when they are going through their own hurts. The next article on this topic will be Healing From Deep Ministry Hurts.